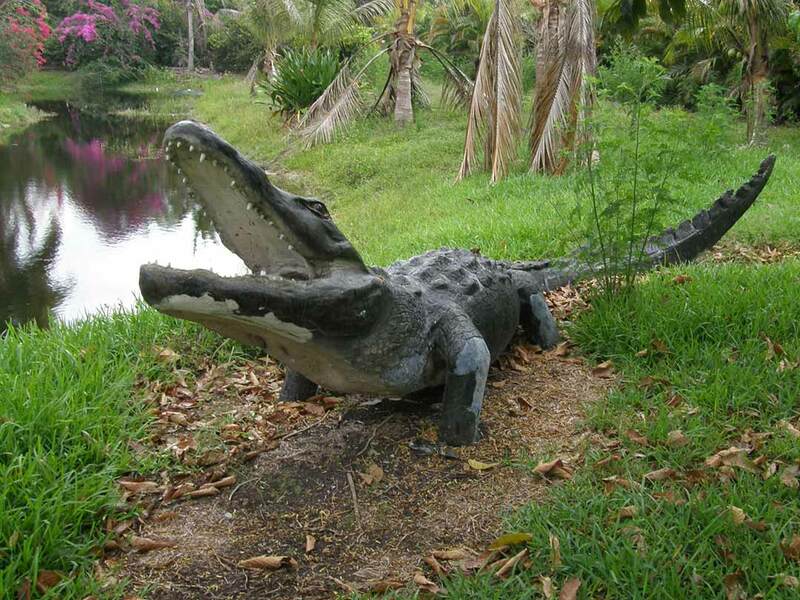 Situated in the location where the current Hard Rock Hotel resides, the Okalee Indian Village was a longstanding feature of the Florida landscape until the 1990s. 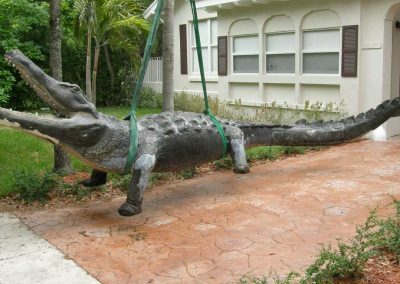 An iconic feature of the site was a pair of concrete folk art sculptures of a Seminole man wrestling a large alligator. 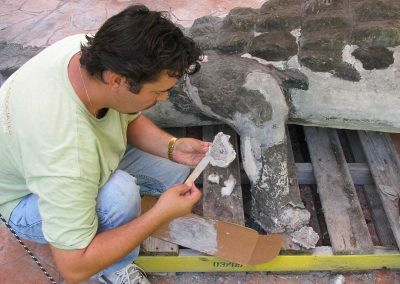 The figures were removed when the Hard Rock Hotel was built. 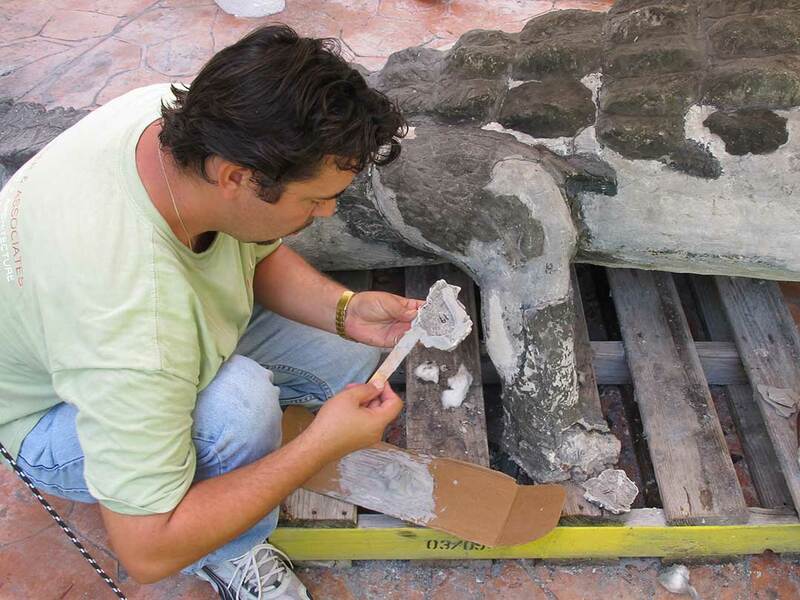 The figure of Okalee Man went to museum storage. 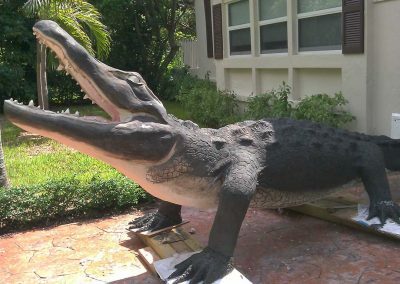 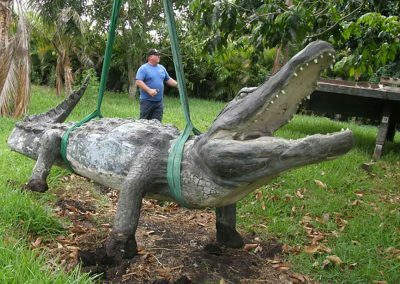 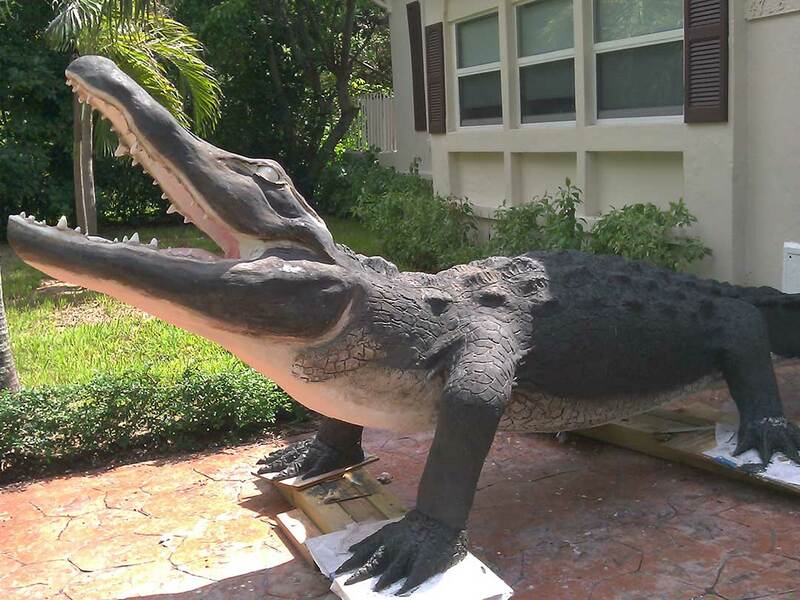 The alligator was placed outdoors in the backyard of a private residence, next to a pond. 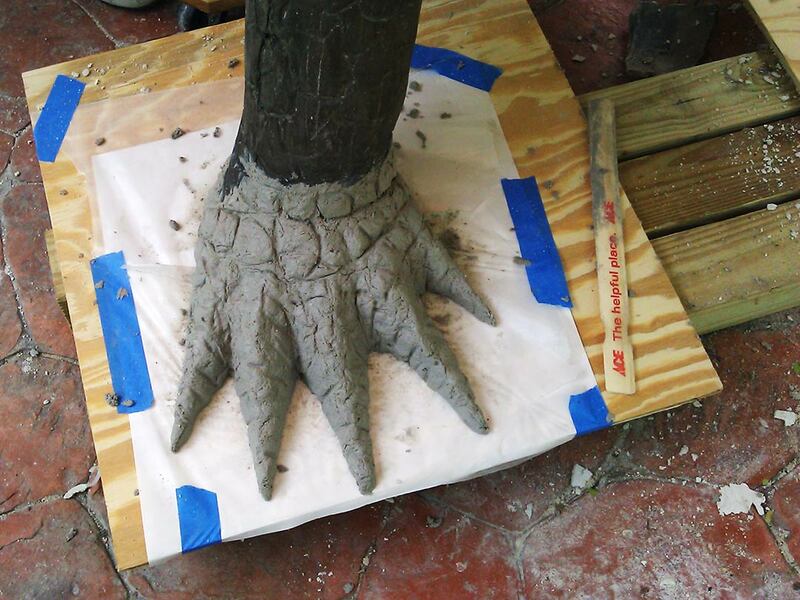 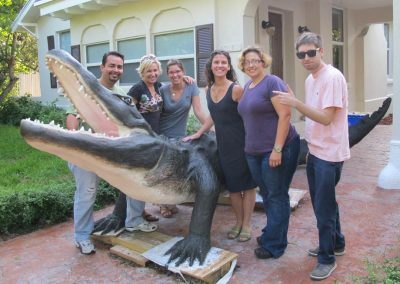 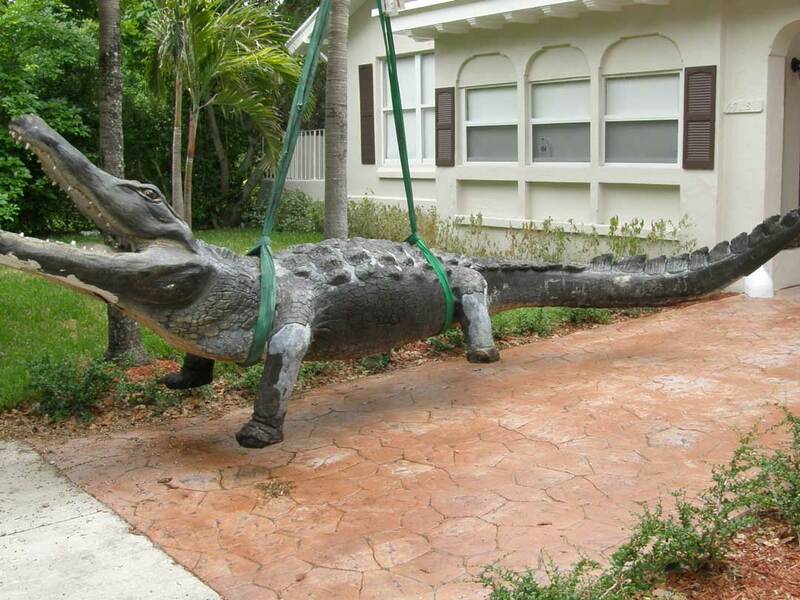 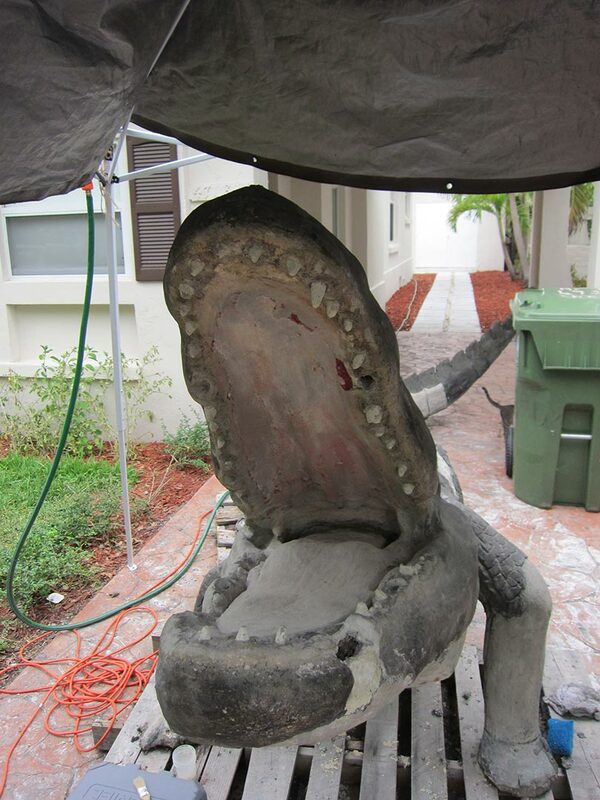 RLA’s concrete sculpture restoration of the alligator was the first of two projects for this grouping. 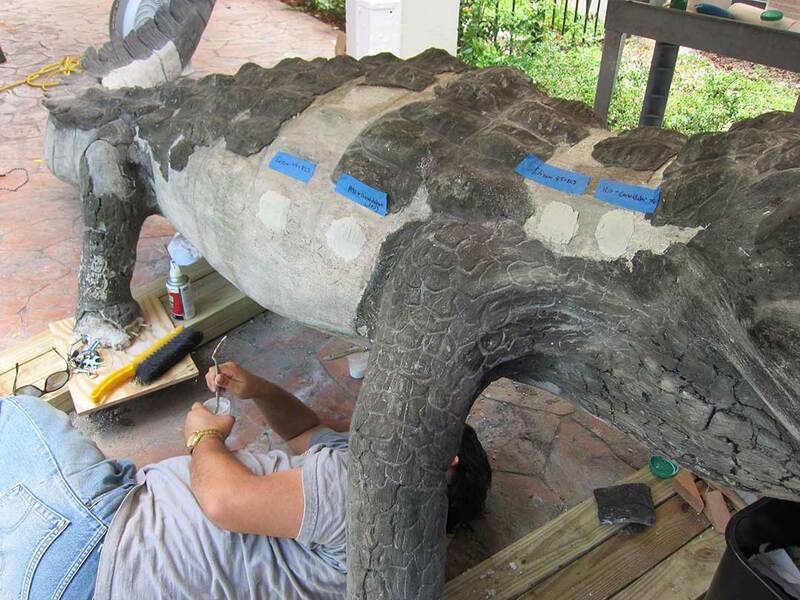 Weighing over 500 pounds, the painted sculpture was found to have extensive damage to the surface skim coat. 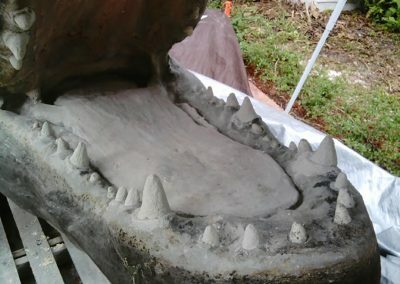 Many of the teeth were missing, and all four feet of the alligator needed to be rebuilt. Some of the scales appeared to be additions over an original paint layer. 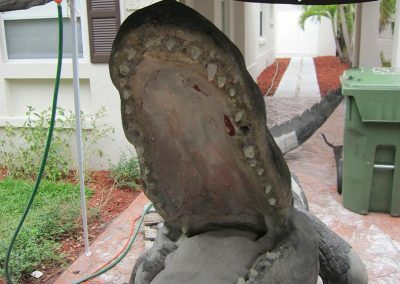 Many of these scales were loose and detaching from the surface. We determined that the best course of action was to retain the earlier modifications. 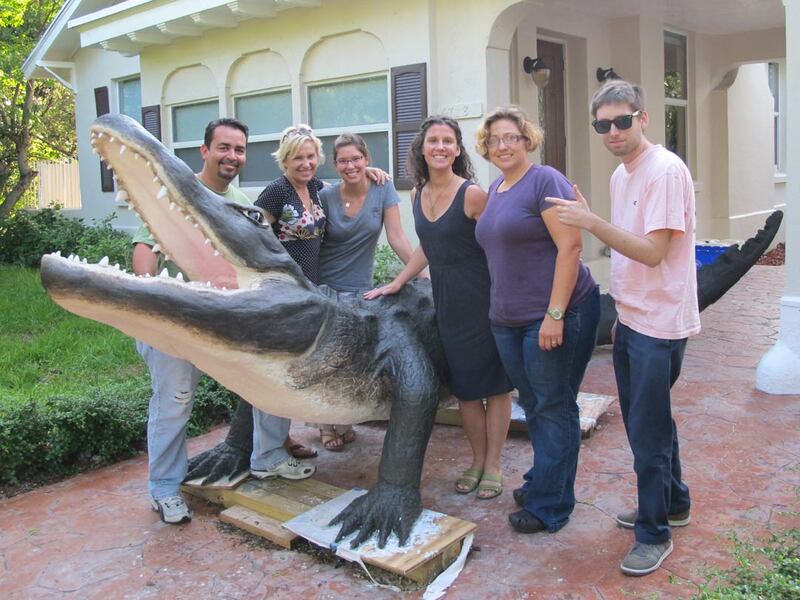 We oversaw the deinstallation and removal of the sculpture to our Miami studio. 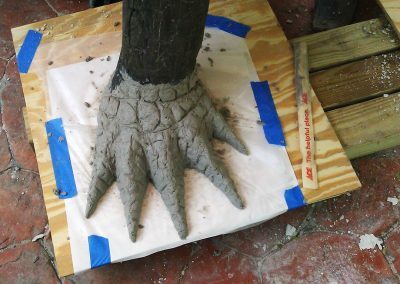 Through analysis of original paints and finishes we determined a course of treatment that included cleaning, removing flaking and unstable areas of concrete, stabilizing corroding metal rebar, re-attachment of scales and fabrication of replacements for missing ones, rebuilding the feet and missing teeth, inpainting, and application of a water repellant. 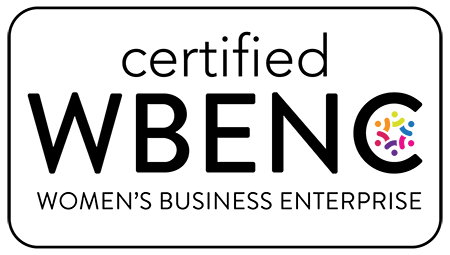 In late 2018, RLA will treat the Indian. 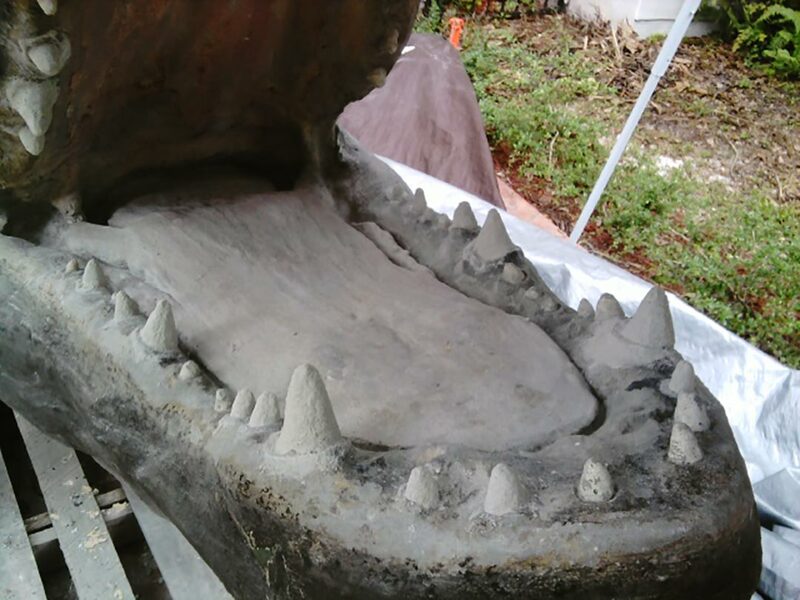 The two concrete sculptures will be installed in 2019 under RLA’s supervision.